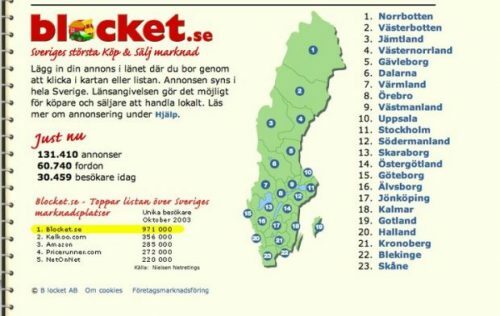 The acquisition of Blocket.se, Sweden’s biggest buyers’ and sellers’ marketplace, makes Aftonbladet the market leader in online classified advertising. At the same time, Blocket.se boosts its potential by benefiting from the traffic on Aftonbladet.se. Blocket subsequently develops into a highly successful online classified advertising concept that is rolled out in many countries around the world.